My hash handle is Swamp Thing. I take a lot of hash photos. Yuuuw, did he say "hash", smoking pot? see Major Drug Ring Exposed in Denmark. How I got started with Hash House Harriers. 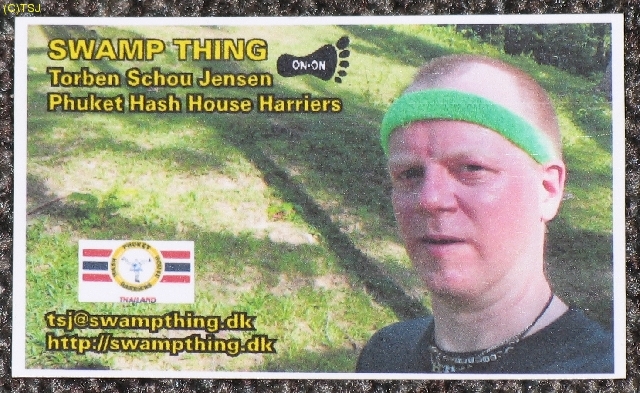 ID card of Swamp Thing (PDF). Torben finder de næsten sporløse (PDF). 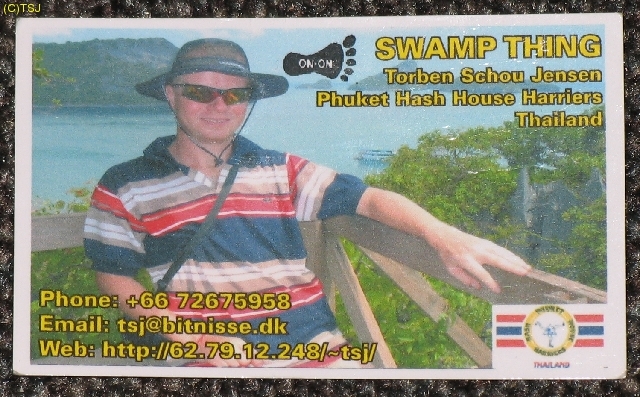 Ted Howes from Sydney wrote about hashing and used one of my photos. 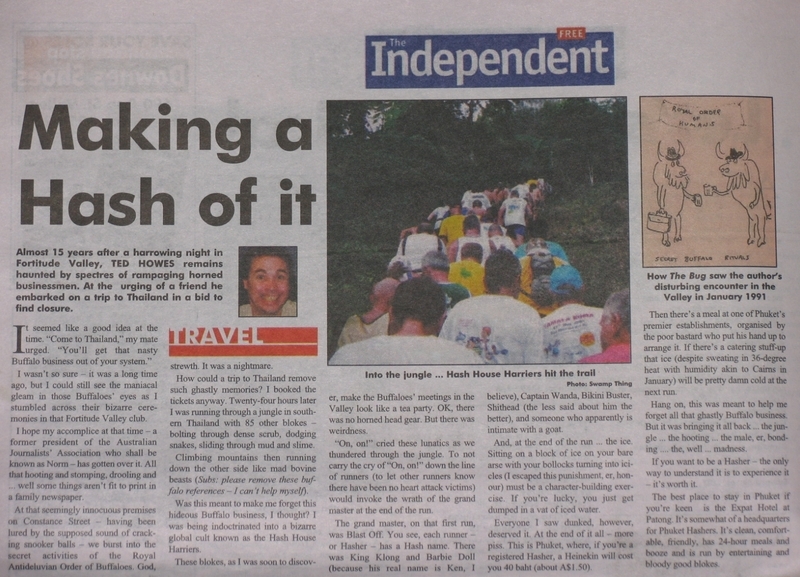 secondary more than 80 runs with Phuket Hash House Harriers. The following is a list of runs in addition to runs with my homehash. Odense/Nyborg 800 Wanking Viking Weekend - 800 run. Eurohash 2007 in Kingston-upon-Thames (London). Brussels Manneken Piss "Belgian Nash Hash 2006 Mechelen"
DIVA, Red Dress prelube in Amsterdam Red Light District. Amsterdam, Eurohash at Assumburg Slot Heemskerk. Living one year in Patong, Phuket, Thailand. taking a lot of hash photos. Honey, I Formatted the Kid!